Kind of blue, kind of loose. Ouch. With one week left, I am starting to get nervous about my 16K in Porto. Luckily I have already decided on my training this week – see the page on training weeks 41-44 – and just by having a look at my plan I calmed down. Tomorrow morning I will run to work, just as any other monday morning. A bigger problem is the ache and pain the test of my new light-weighters have given me – yesterday I avoided any kind of shoes completely. Let´s just say I have an issue with a toe nail. Kind of blue, kind of loose. Not a good title for a blog post only a week before a race. But really – this race isn´t that important to me when it comes to results. Early June, I was thinking of sub 1:20, but with me collapsing from the heat in July, I am in no shape to keep up an even 5:00/km-pace for that long. So this year, I will not make myself feel bad about not running fast, as long as I run. Next year, I will aim for a sub 1:45 half marathon – although I have never ever run a half marathon before. This year, I am just getting back into shape, trying to stay healthy. 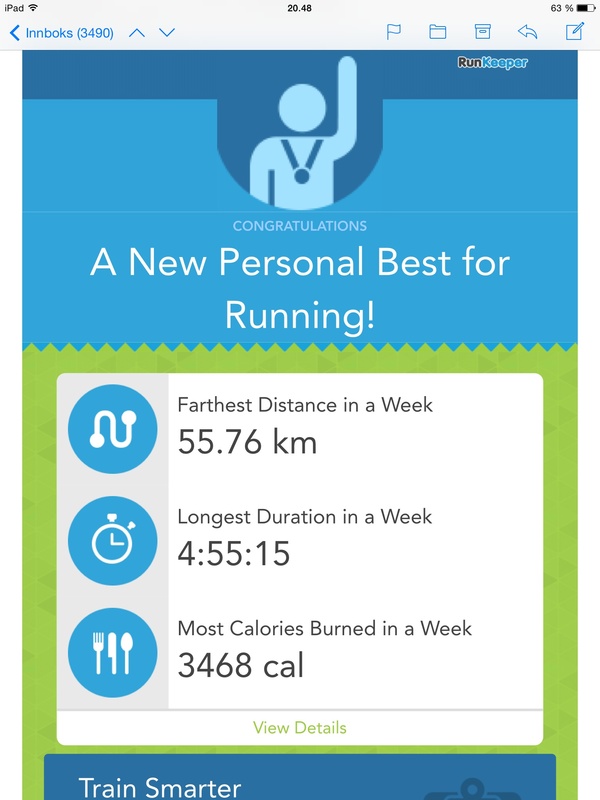 Week 43 on Runkeeper makes me feel good about the weeks to come. 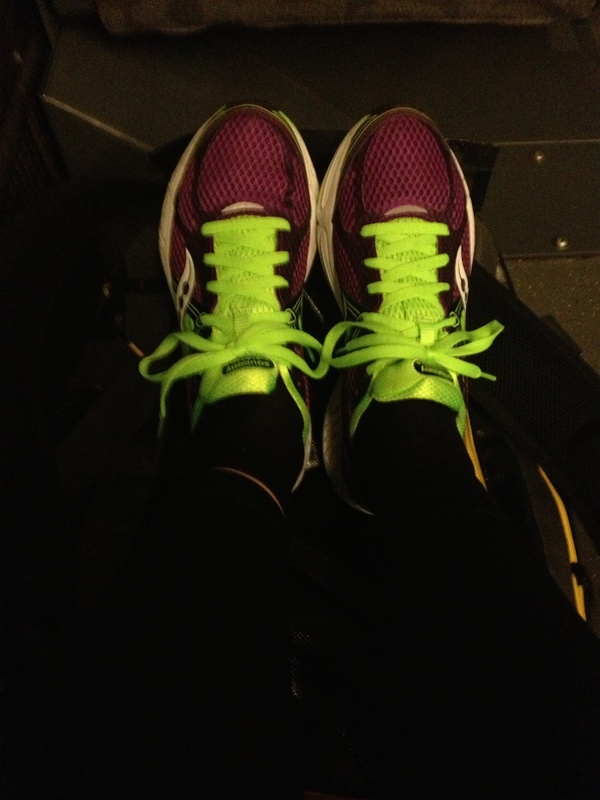 I loved my new shoes. Now not so sure. I do hope I will be able to keep up the good work when the winter hits us here in Norway – it is hard to dodge all viruses that comes along. I WILL STAY HEALTHY THIS YEAR: I WILL STAY HEALTHY THIS YEAR: I WILL STAY HEALTHY THIS YEAR. Got it? Hopefully my 14K run tomorrow morning will be doable in spite of the nail issue. But for sure – I will NOT use my Saucony Fastwitch6 tomorrow. They put me in this situation, and I am now probably using my Asics GelKayano20 for the race – to be sure I will make it to the finish line. They are simply the most comfortable shoes.